These hand made hair pins come in a set of 4. 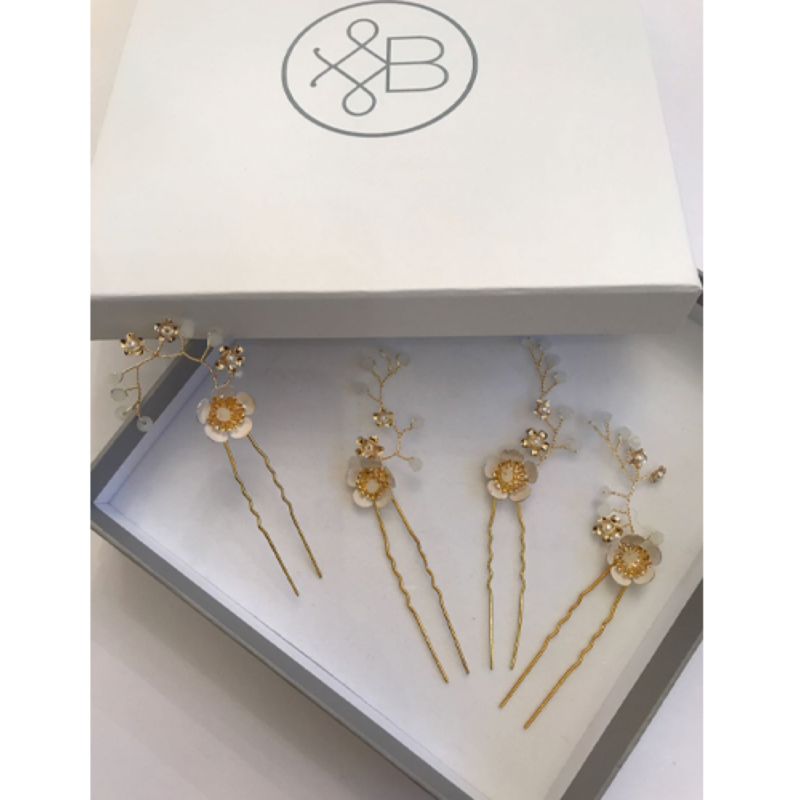 Made in gold with crystal beads and gold leaf details. 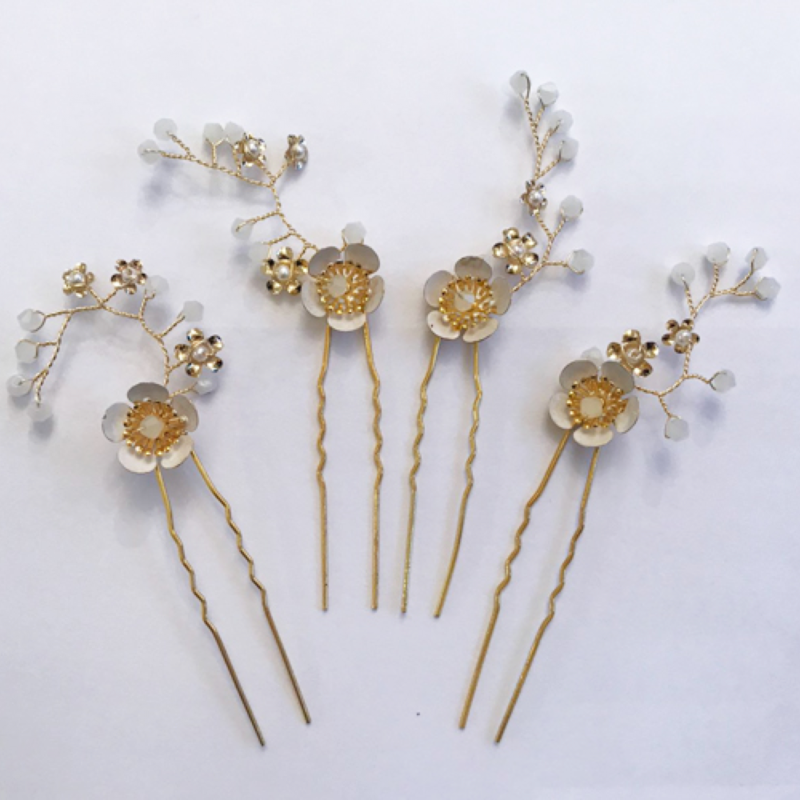 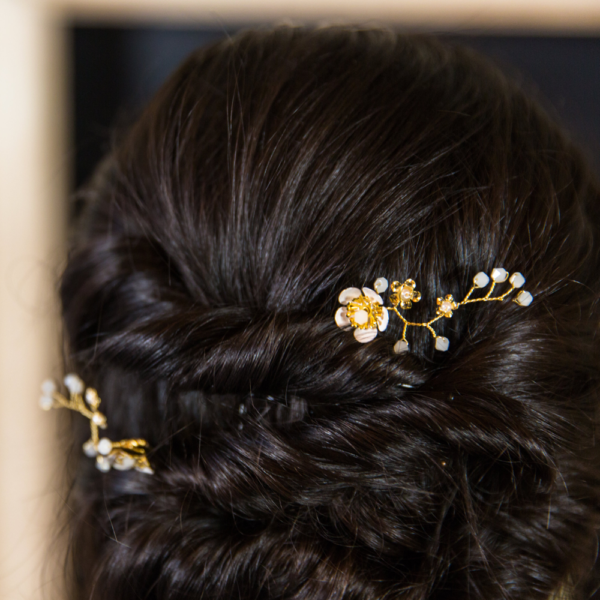 A blush pink may flower takes centre stage in each hair pin. 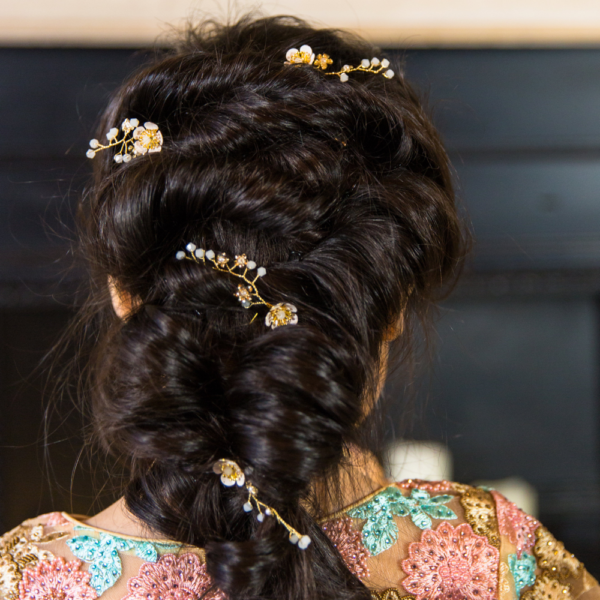 Works beautifully with a loose plaited braid or textured up style.